I have been a bit bust this week with my real job and life in general. But I have mad a bit of an effort to get another release ready for the world to rest. Check out the release notes/ change log below. Wall block can now be removed. Hold shift and right click when cursor turns yellow. Returns 20% of build cost. Fixed bug where picking up a weapon would remove all the players ammo. Fixed volume issue for shotgun. it is now more in level with other weapons. Removed ore model as it's file size was way to big. replaced with simple sphere for the moment. Adjusted drop values and frequency. Now less often but with more value. Added Removable wall blocks. Player regains 1/4 of the build costs. Hold SHIFT and right click to remove items. Cursor will turn yellow on removable items when shift is held down and item is in range. Improved how player stats are handled for cleaner Game Controller to UI interface ( less steps from stat change to UI update). Now happens on same frame. Made flares ( and future pipe bombs) available via drops only. They can no longer be bought with resources. Also placed a limit on how many of each can be carried. 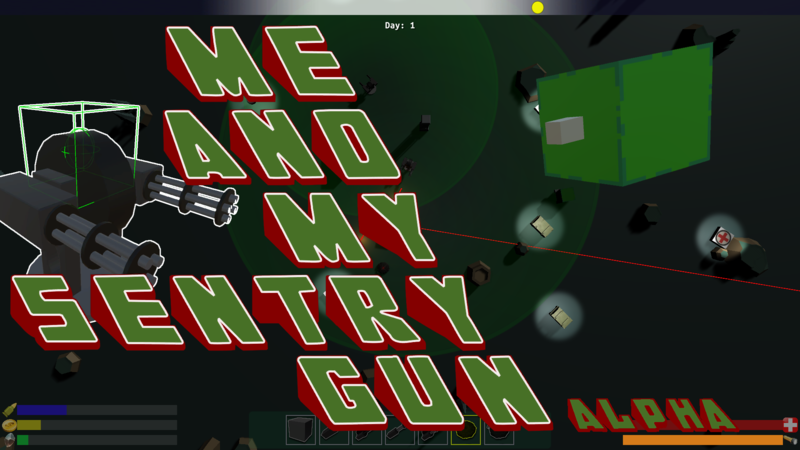 Added small intro and instruction screen after player clicks player button while level is loading. Simple place holder for planed level intro later.